Rebecca Billick provides divorce mediation services for Split Simple clients throughout Cook County and the greater Chicago area. She is licensed to practice law as a divorce lawyer in Illinois as well as Indiana. Ms. Billick has dedicated her career as a divorce lawyer to understanding the impact of divorce on families and children and helping them toward mutually beneficial solutions. She has acted as a conflict resolution trainer, a guardian ad litem on behalf of children in court proceedings, spearheaded studies into the effectiveness of child-centered divorce, and written about the legal system’s treatment of children. Drawing upon this diverse background, Ms. Billick provides compassionate guidance through the collaborative Chicago divorce mediation process that emphasizes the interests of the child or children in the proceedings. As a former licensed school counselor and therapeutic foster parent, Ms. Billick understands from a variety of different perspectives how divorce proceedings affect children in Chicago. 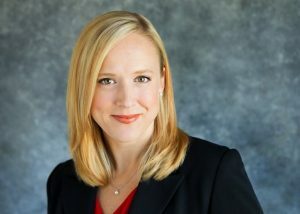 She believes that Chicago divorce mediation and collaborative law provides a better solution, and she is proud to be able to help families move toward those solutions as an attorney-mediator at Split Simple. Find out how divorce lawyer and family mediator Rebecca Billick can assist you in dispute proceedings by completing the form on this page or calling 855-665-9920 today. Ms. Billick serves divorce clients in Chicago and throughout Cook County, Illinois.